The Soirée is sold out. Thank you for your interest. 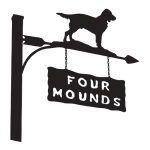 Join us for an intimate evening of fashion at Four Mounds. See our lineup of five great local boutiques – Fig Leaf, Gotta Have It, Namasté Athleisure Wear, HJ Fashion Emporium, and Rhomberg’s Fur & Leather Gallery. Enjoy the showcase of spring and summer fashions, followed by a lovely picnic dinner at the Grey House. Doors open at 5:30 p.m. Show starts at 6:00. Bring your own bottle of wine to enjoy. Great door prizes and an exclusive silent auction make it a fun and relaxing night! Proceeds from this event will benefit Four Mounds’ mission to preserve, educate, partner, and serve. The event is sponsored by the Four Mounds Women’s Fellowship.